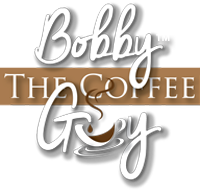 Bobby The Coffee Guy Inc. (BCGI) is a newly established coffee and tea supplier. Although in operation only since June 2015, BCGI has quickly distinguished itself as a company of high integrity, exceptional customer service and dedicated to the pursuit of excellence. Our coffees are roasted using only the highest grades of Arabica beans from the world’s finest coffee growing regions. This ensures that the coffees we offer are always fresh and of superior quality. Coffee has been compared to a language in itself. Let us speak this most beautiful, aromatic language to you each and every day. BCGI also offers a wide selection of teas and hot chocolates. “Samantha Cristoforetti (first Italian woman astronaut) had an espresso… that was out of this world” reported the NY Times in May 2015. With BCGI, you don’t need to go to ‘outer space’ to enjoy a cup of coffee, tea or hot chocolate. Just click on any of our products and enjoy a premium product in the comfortable ‘inner space’ of your home.